This boy, Maluhia, was Tommy's little neighbor boy growing up and now he dances in the Tahiti Village. When this boys was around my boys age, a pit bull had clamped his jaws onto his whole face. Tommy jumped in and pulled the dog's locked jaws apart, freeing Maluhia. Despite a pretty major scar he turned out so handsome, don't you think? He is now a very talented dancer at the PCC. Both of our dads are Tongan so we of course the Tongan Village is our favorite. 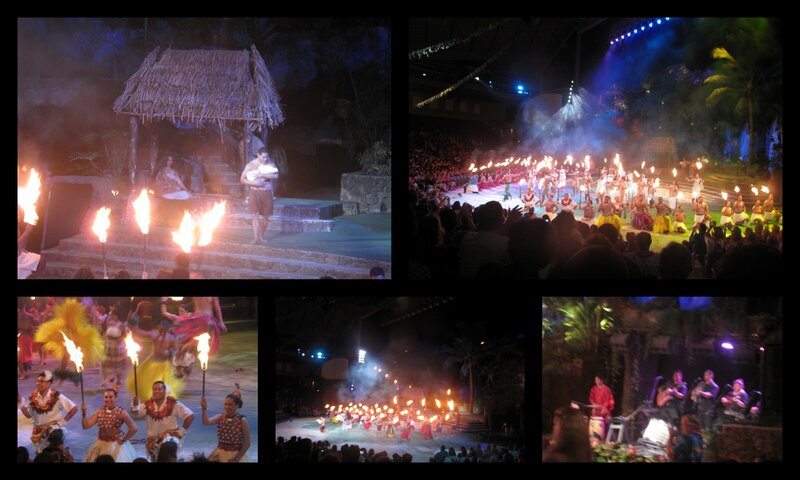 The night show @ The Polynesian Cultural Center was AMAZING. They got a new show that is unlike ANYTHING I have seen at the PCC. 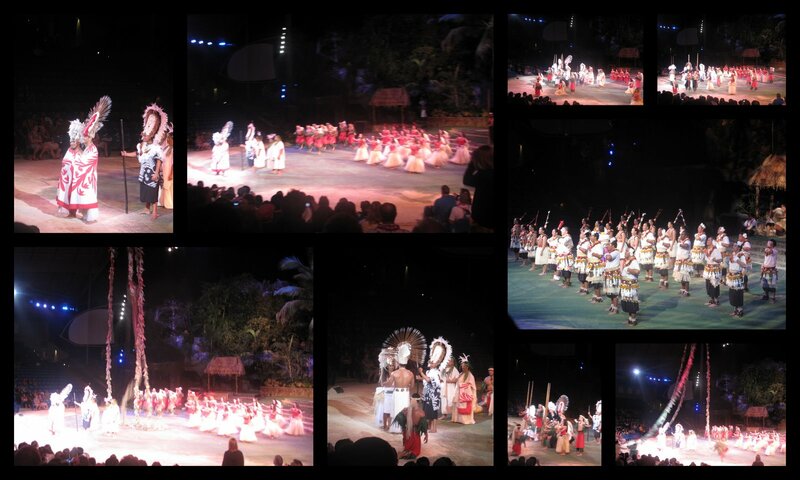 The story line was so great and the dancing was breathtaking. I could not get over it and want EVERYONE i know to go to it. I always think of my dad when I see the night show. He was known for being the best entertainer at the PCC back in the day. I have heard many people talk about how talented he was. 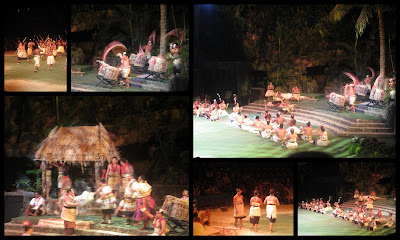 He also helped build the big mountain that they preform in front of. My father in law also helped built the theater. 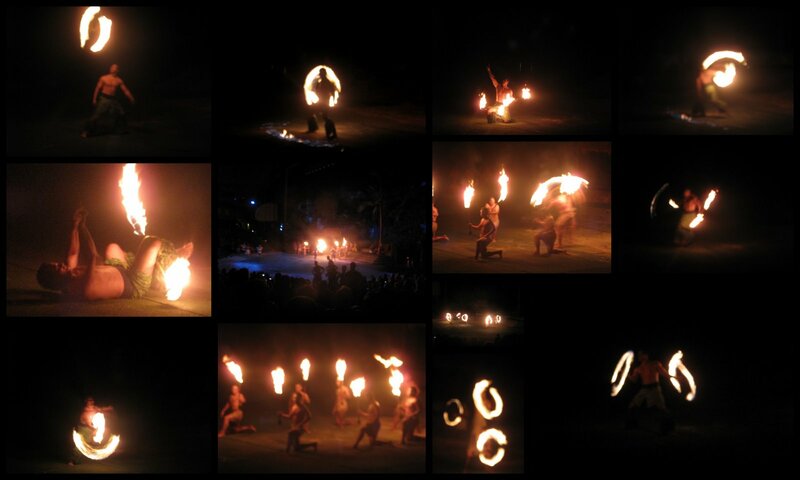 After looking at these pics again I WANNA GO AGAIN!